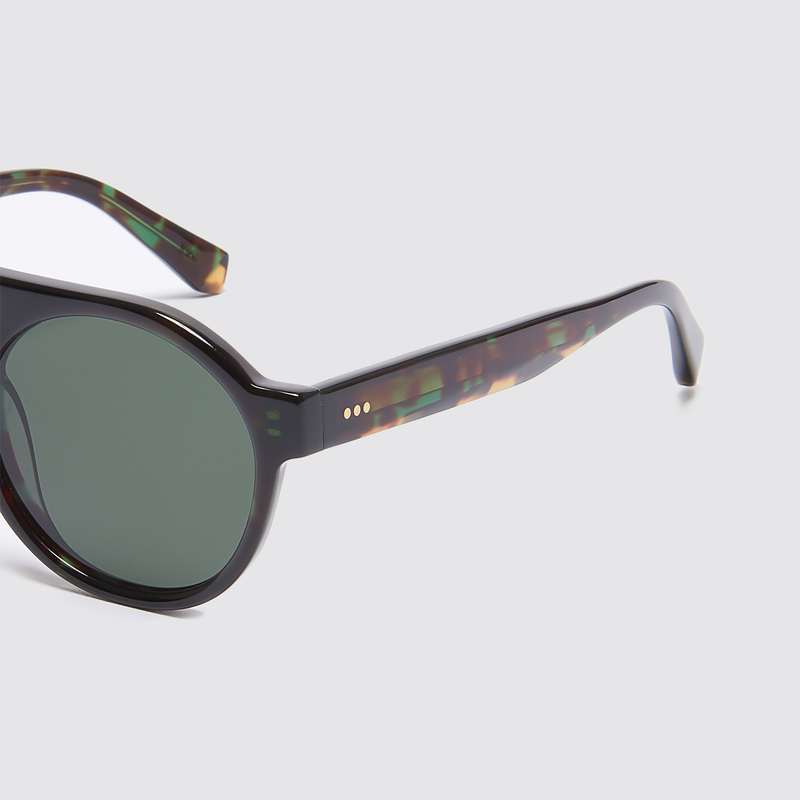 Sandro Sunglasses • Rounded aviator glasses in acetate. 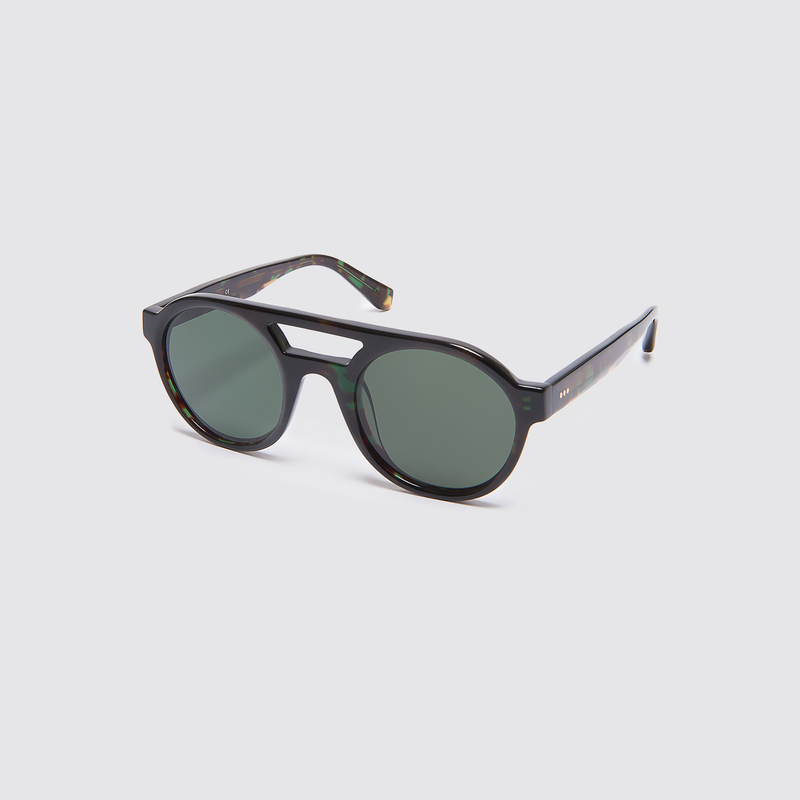 • Shiny detailing on the edges and inside of the frame. • The Sandro logo is delicately engraved on one of the two metal arms. • A thin contrasting stripe on the arms and tips makes the design unique. 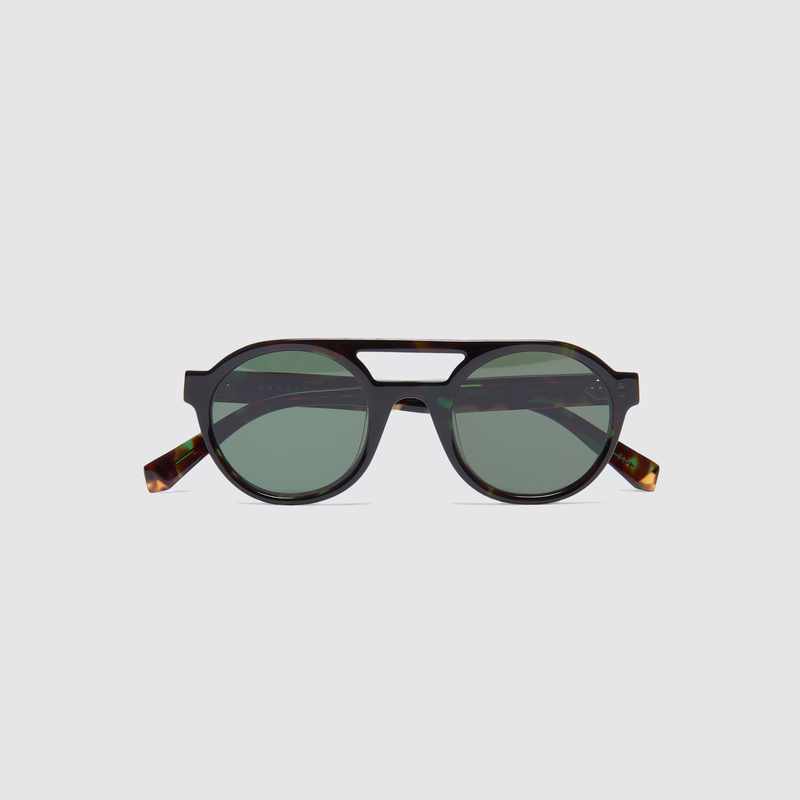 • Tortoiseshell version comes with green lenses.